Video Tour of the Interactive Data Query is coming soon! Welcome to the Data Resource Center for Child and Adolescent Health. Making data accessible to all. It's your data...your story! Nearly one quarter of children between the ages of 6 and 17 are physically active at least 60 minutes per day. 14.8% of adolescents between the ages of 12 and 17 received services needed for transition to adult health care. The DRC focuses on data and resources for Title V programs and partners. For over 75 years, the HRSA Maternal and Child Health Bureau (MCHB) has funded the Title V program to ensure the health of the nation’s mothers, women, children and youth. Subscribe to CAHMI's newsletter to receive updates on the Data Resource Center and the National Survey of Children's Health. The National Survey of Children's Health is funded and directed by the Health Resources and Services Administration (HRSA) Maternal and Child Health Bureau (MCHB). 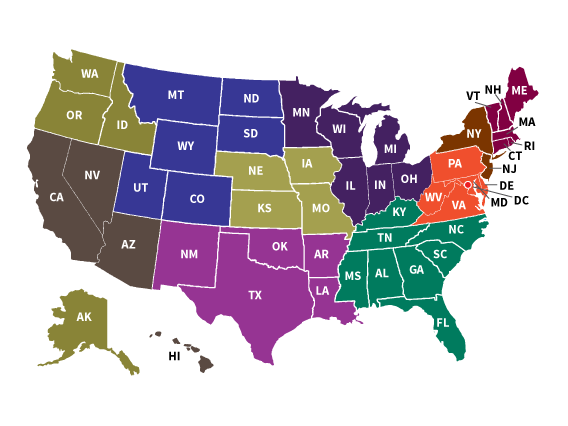 Connect to HRSA MCHB Resources on the National Survey of Children's Health.